Thank you to Krusteaz for sponsoring today’s delicious post. All views expressed are that of our own. Fall is officially here in New England. We had our first frost advisory last night and woke up to temps just about 36 degrees. 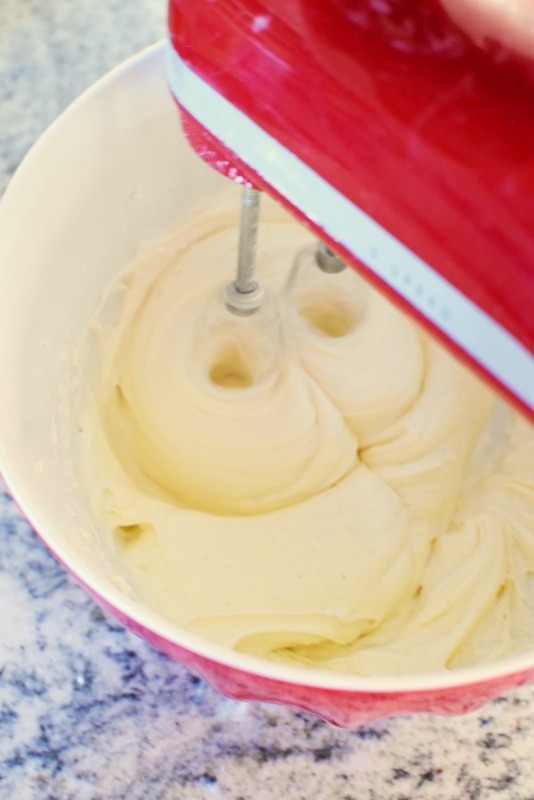 I don’t know about you, but weather like this makes me want to bake all day! While I normally am more of a scratch baker I was happy to finally get to try Krusteaz line of fall baking mixes. I have been seeing these mixes for years and finally gave them a whirl. 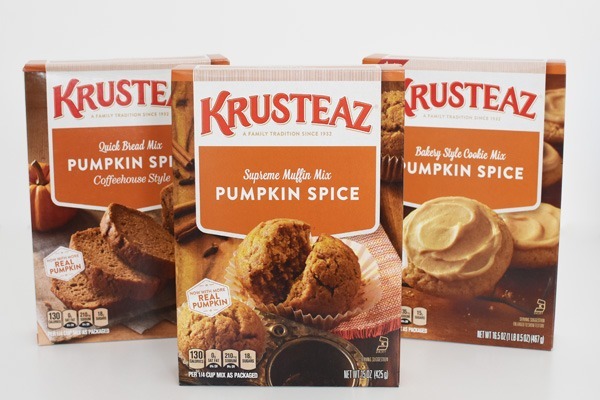 The folks at Krusteaz sent me their Pumpkin Spice cookie mix, Pumpkin Spice Muffin and bread mix-the perfect fall collection! 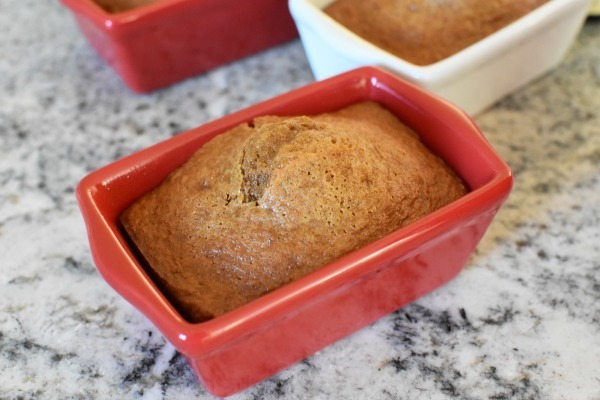 Everything looked really amazing, and after a quick glance at the instructions, I noticed I had everything to quickly make things like muffins or mini bread loaves in less than 30 minutes with just one messy bowl and no measuring spoons. 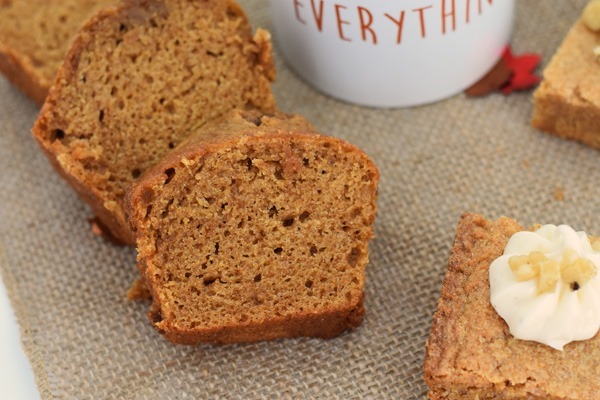 Since things have been a whirlwind of craziness around here lately, I was mega happy to still be able to bake some pumpkin treats quickly. You see, my kids love to come home to freshly baked snacks. They might be a little spoiled, but if I can bake it, I will make it! 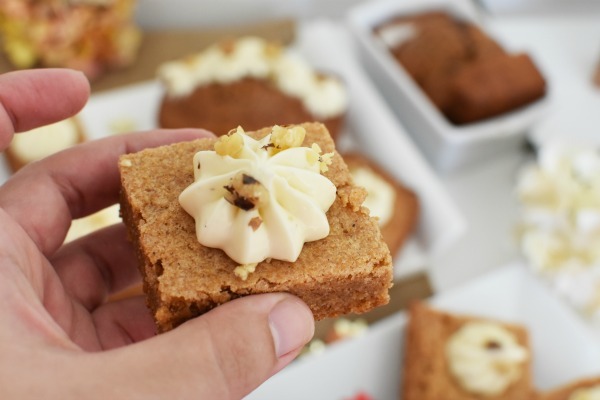 Wanting to add my special touch to the assortment of mini pumpkin bread loaves, pumpkin spice brookies, and muffins I concocted only the Best Maple Cream Cheese Frosting. 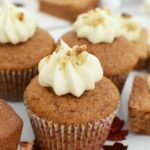 I spread and piped it onto these pumpkin spice creations and it complemented them perfectly! Of course, you can eat them alone, or prepare the included cookie icing but I wanted to add my sweet touch. 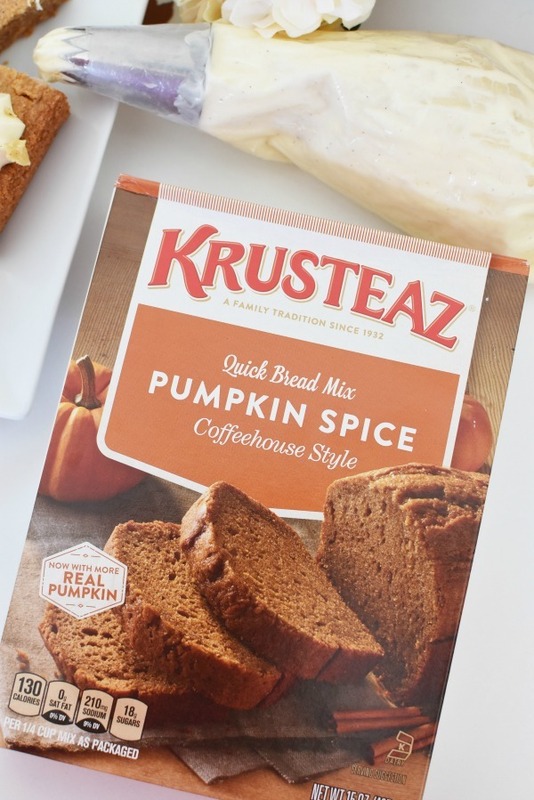 Everyone was impressed with just how moist and flavorful Krusteaz Pumpkin line was. 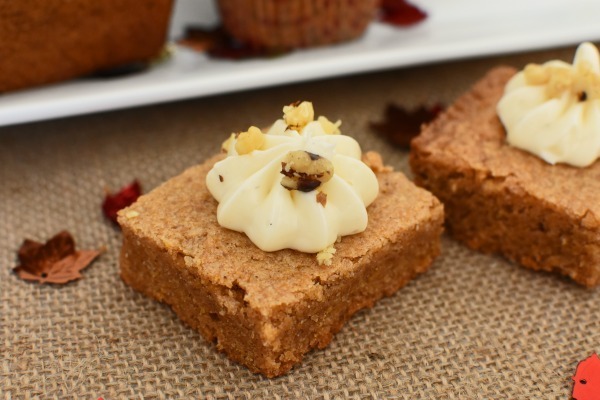 Now, the next time I feel like taking a baking shortcut, I will not have to sacrifice time! You can find Krusteaz products at your local retailer. 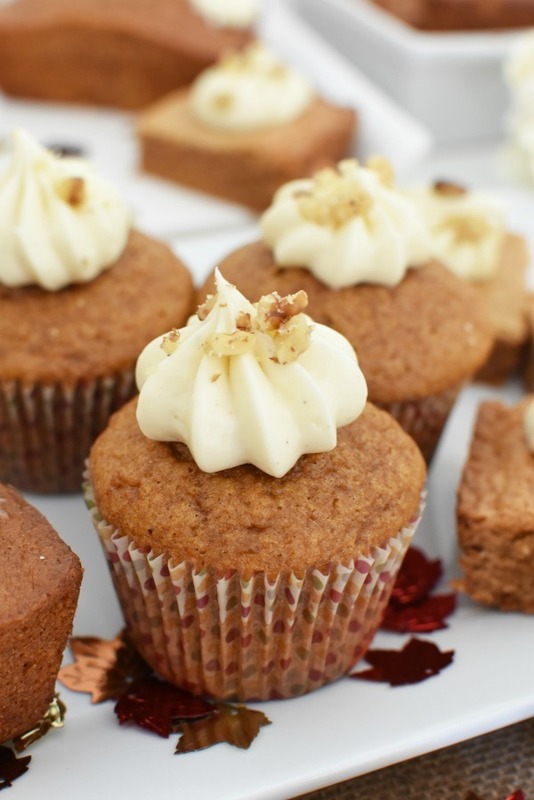 A delicious fall frosting that has hints of sweet maple and carefully whipped cream cheese. 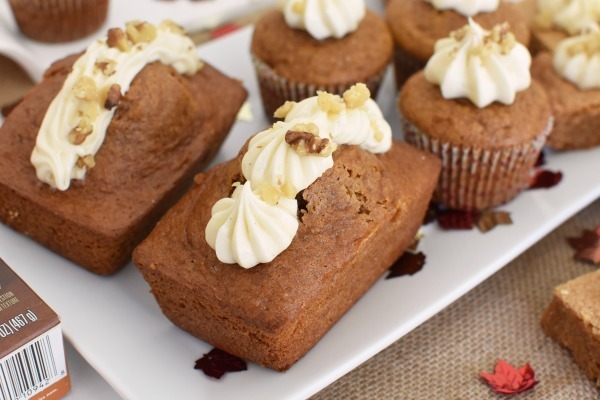 This mapel cream cheese frosting complements pumpkin flavored baked goods perfectly. Beat cream cheese and butter until light and fluffy. Add in powdered sugar and beat at a lower speed. Add in vanilla and maple. Place in refridgerator for at least 30 minutes to chill and firm up. 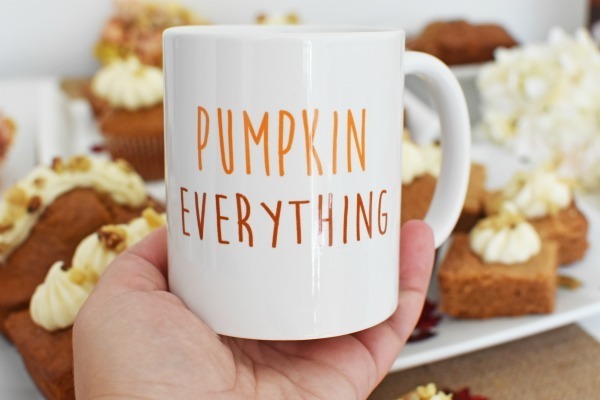 Add to a piping bag and ice your pumpkin treats.